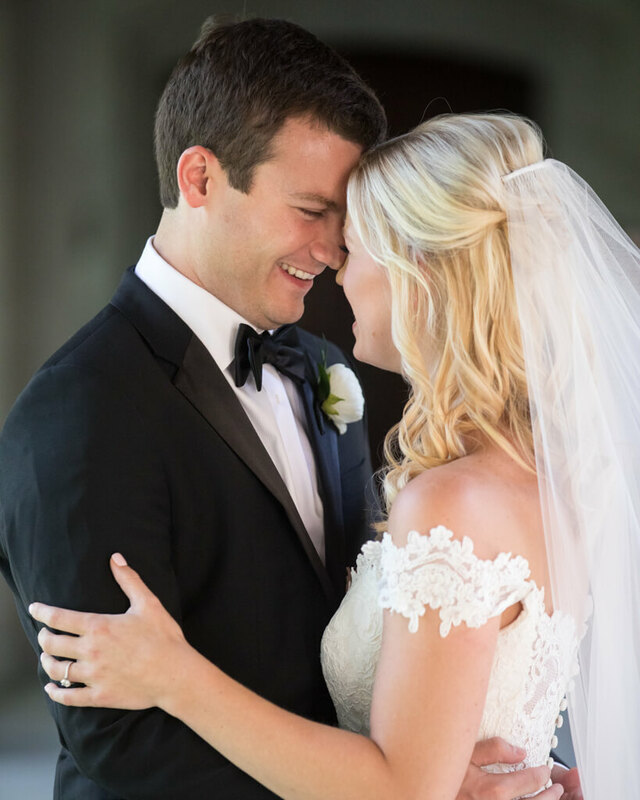 Just when Courtney was ready to call it a day on the slopes while on a ski vacation in Deer Valley, Utah, Daniel convinced her to go on one more run – thankfully she agreed since a photographer was waiting at the top of the lift to capture his proposal on camera. 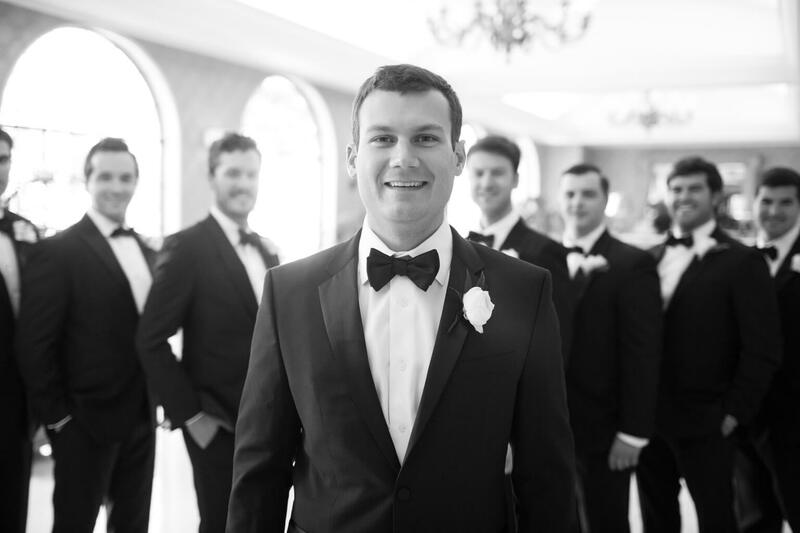 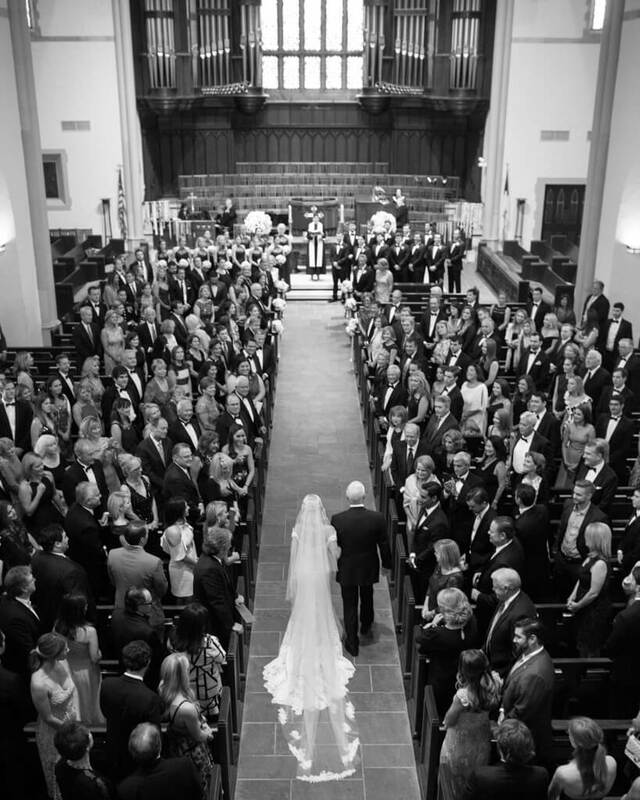 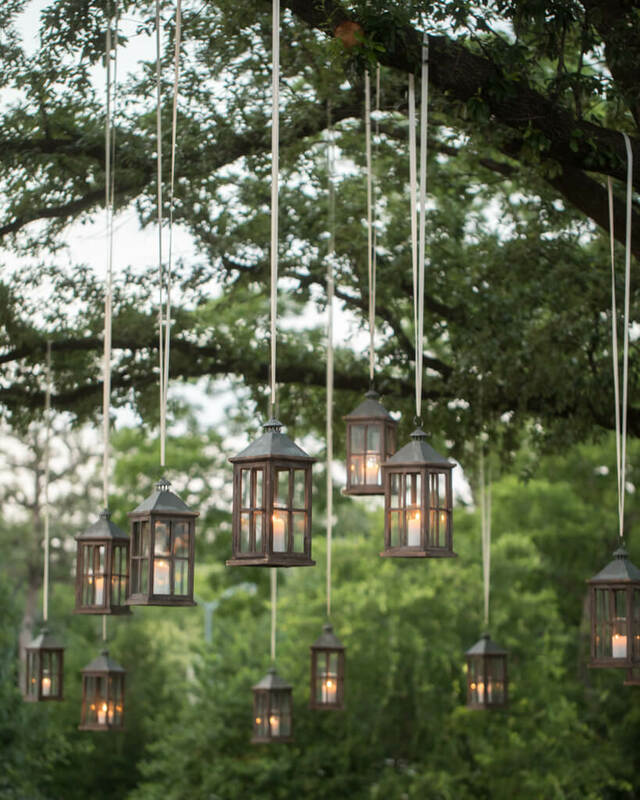 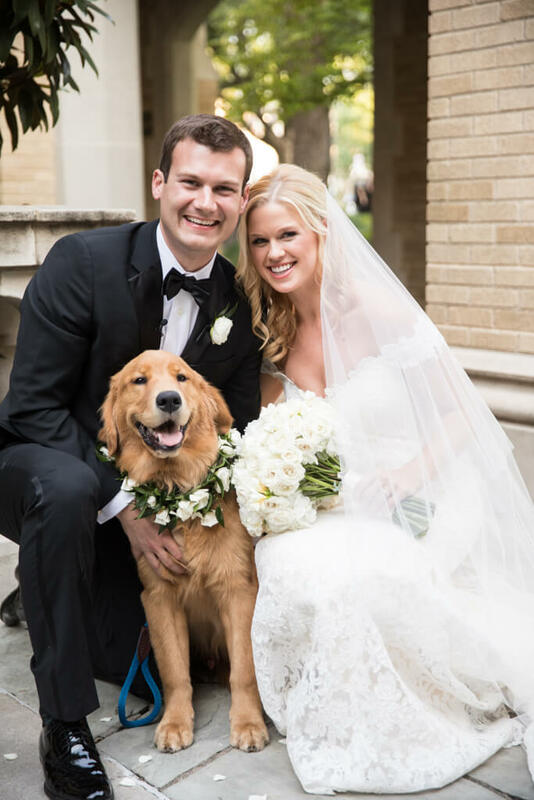 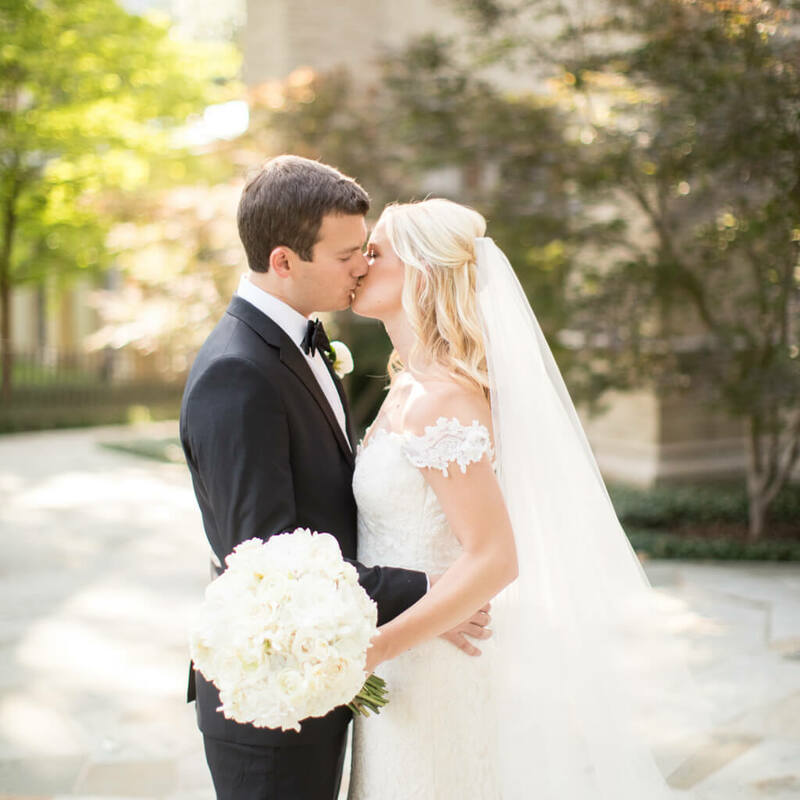 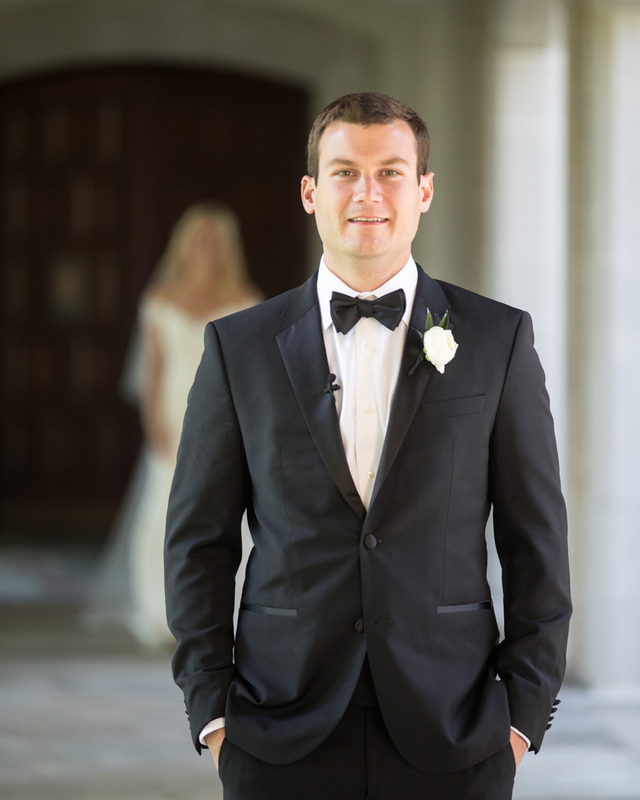 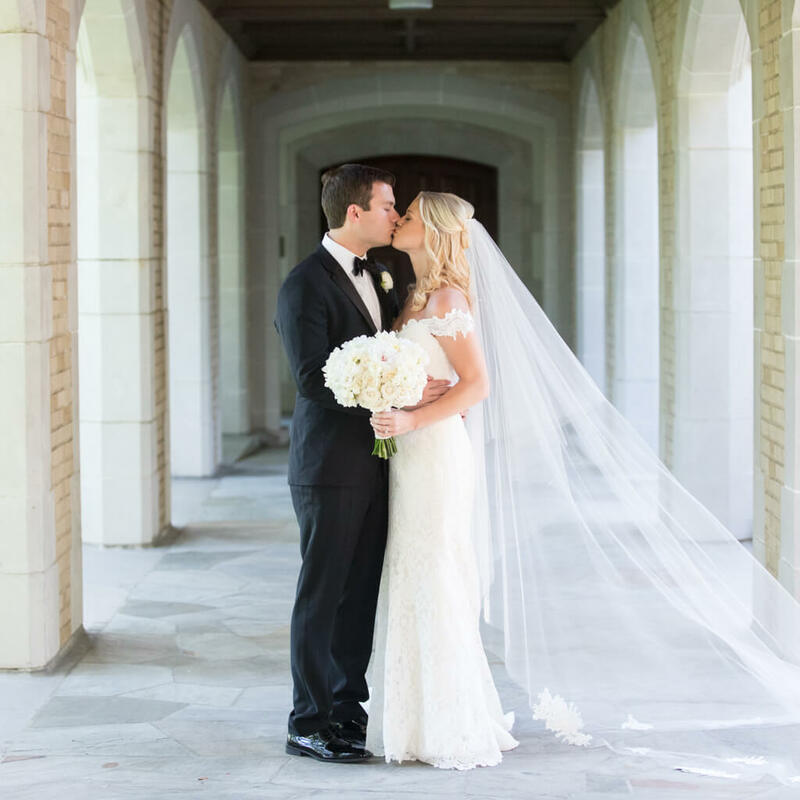 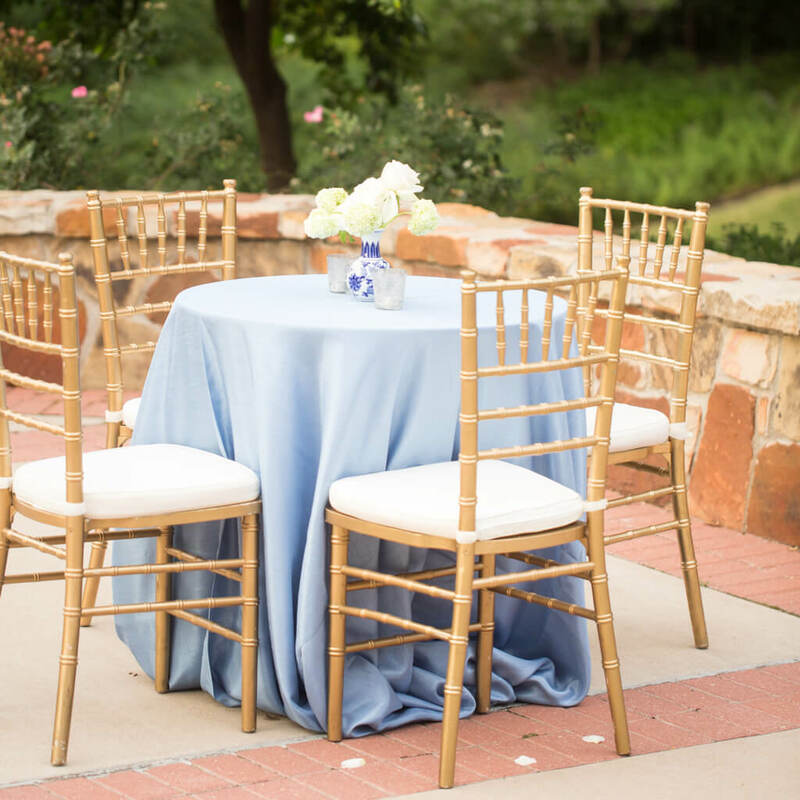 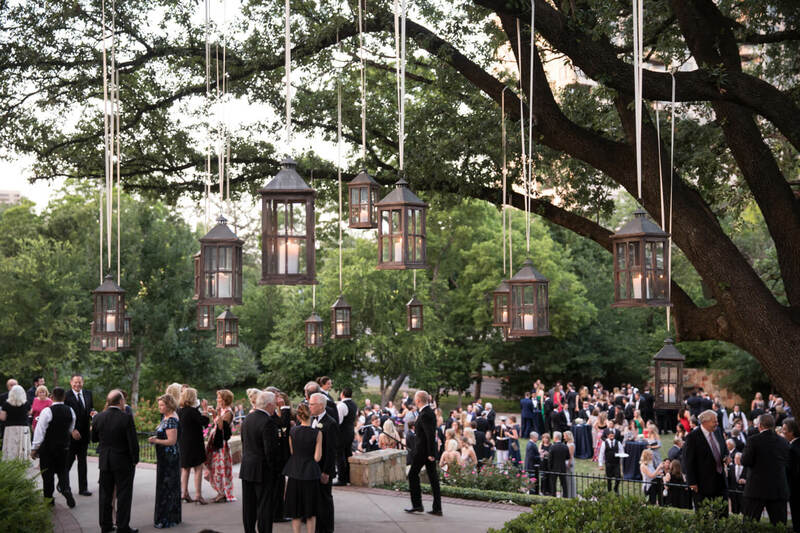 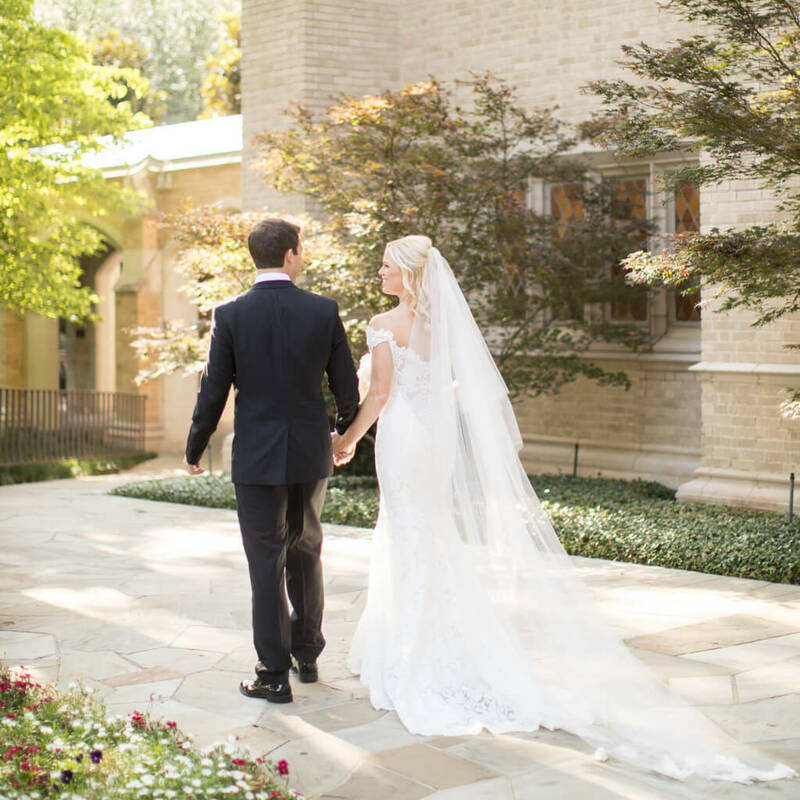 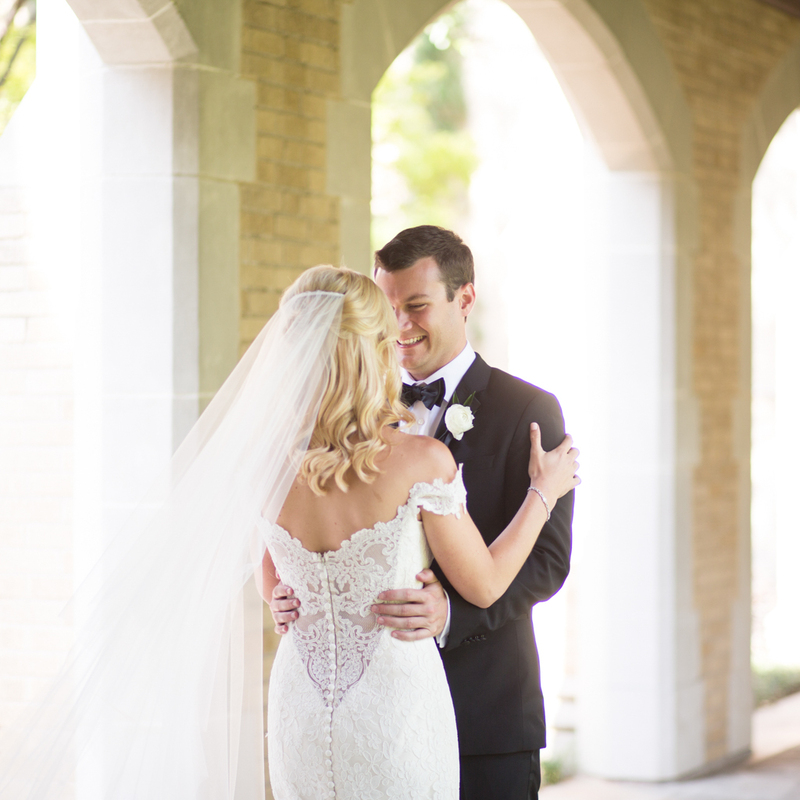 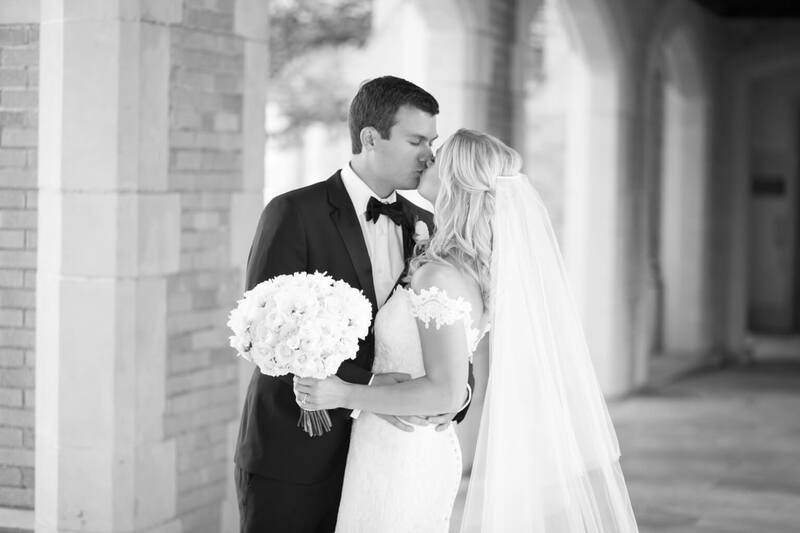 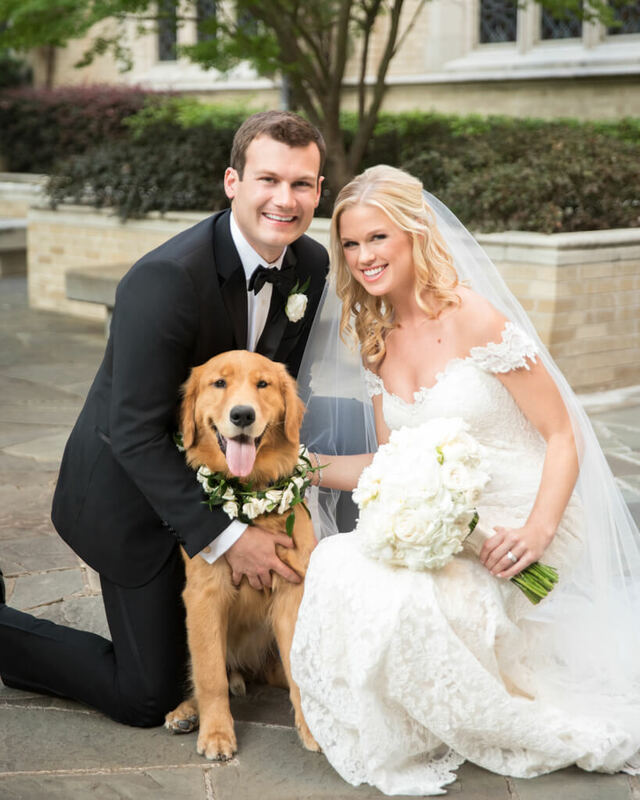 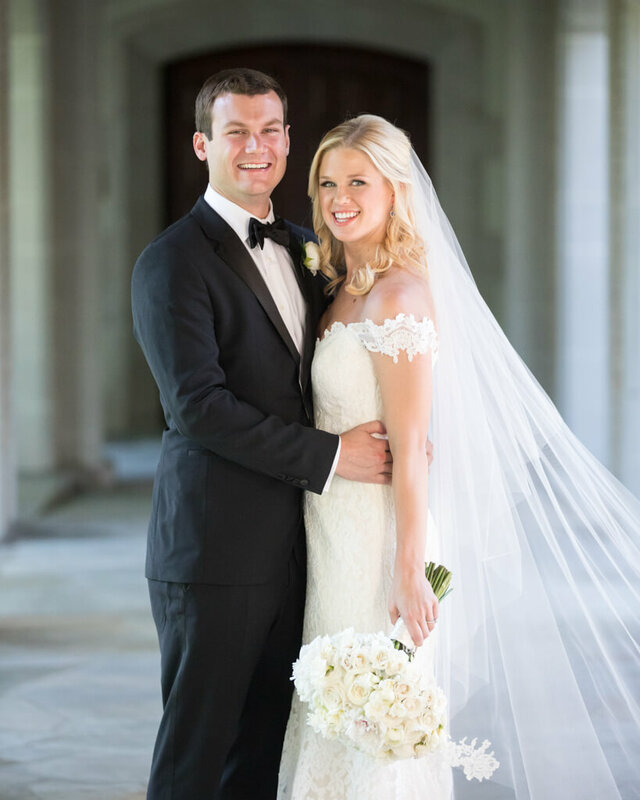 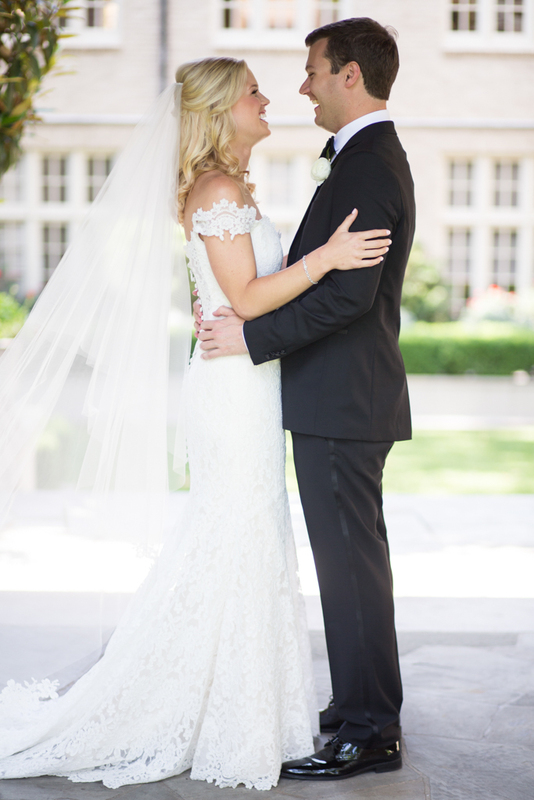 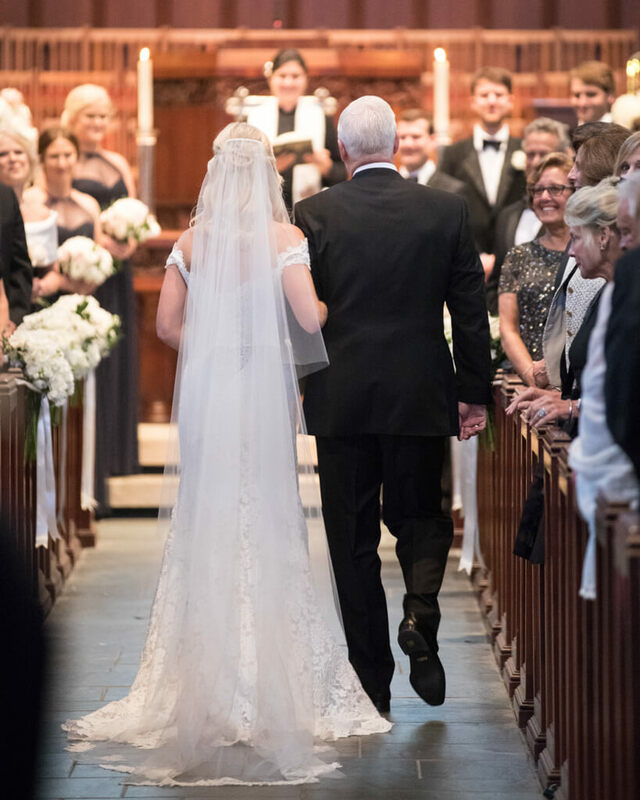 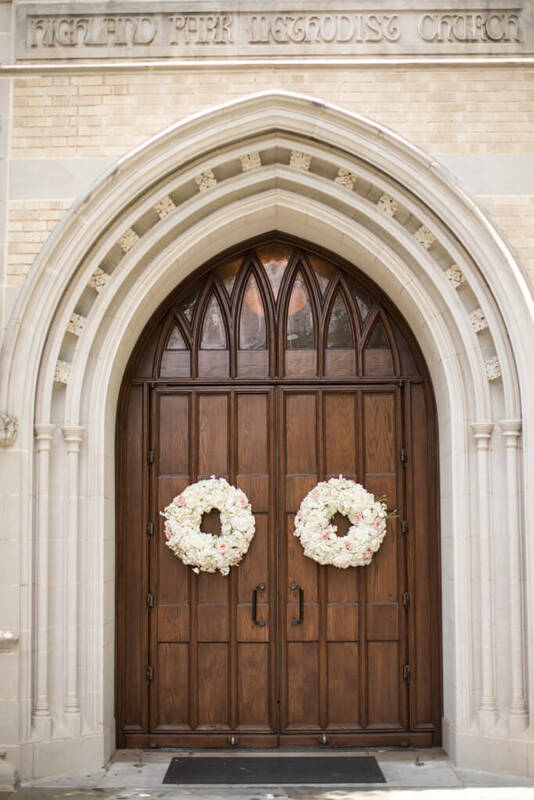 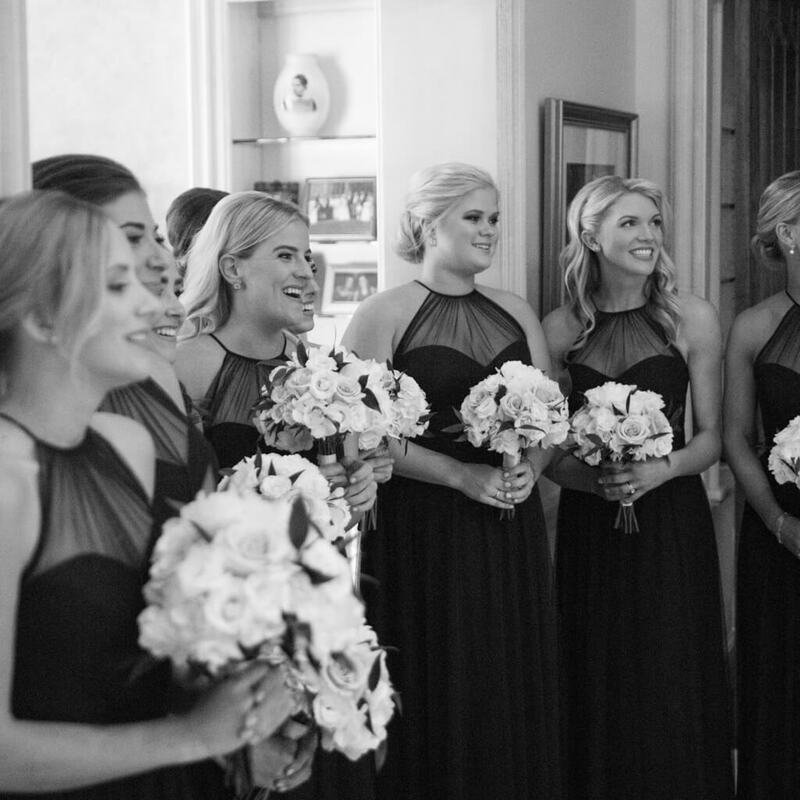 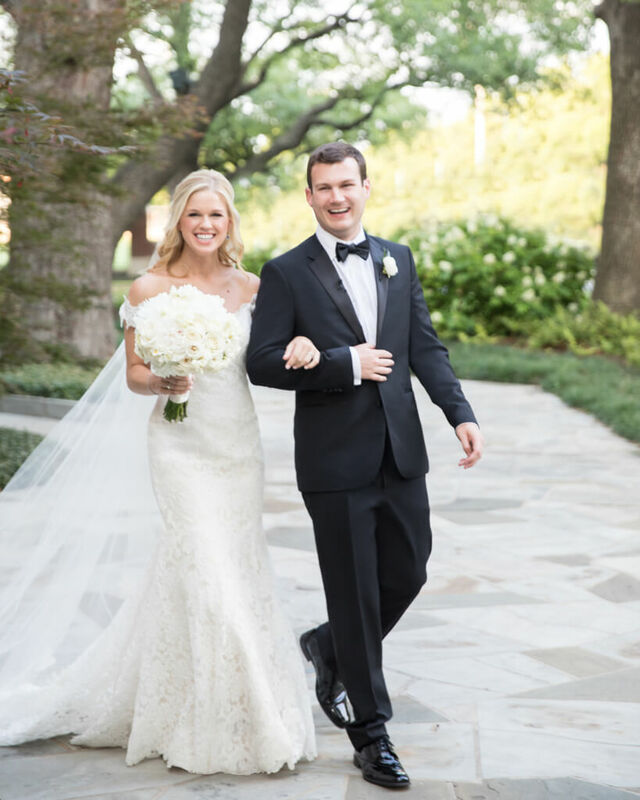 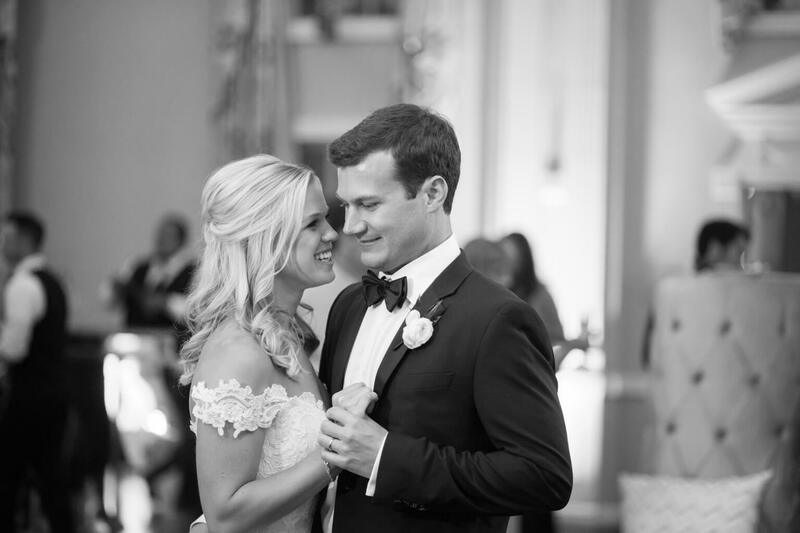 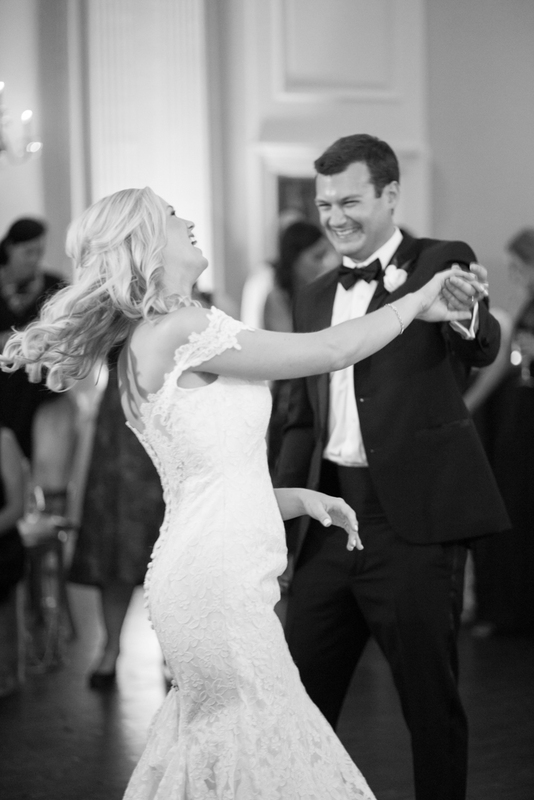 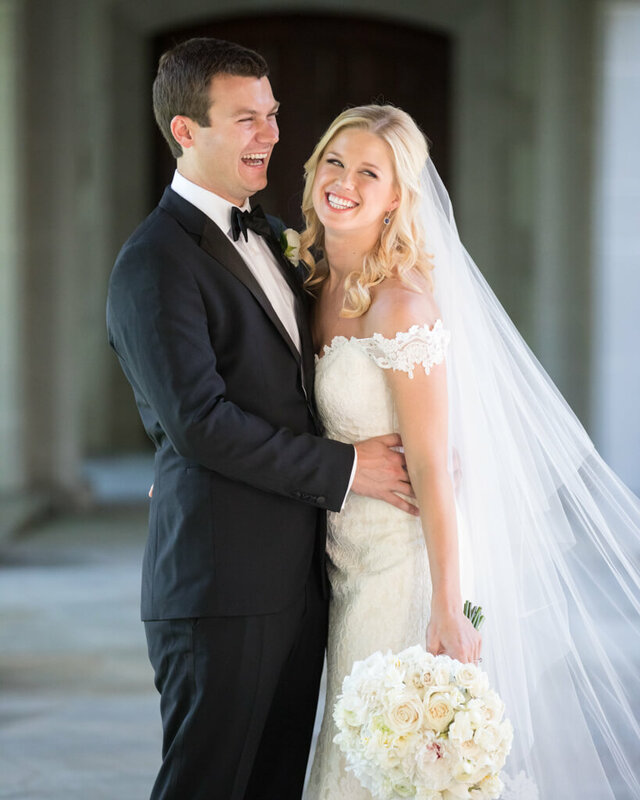 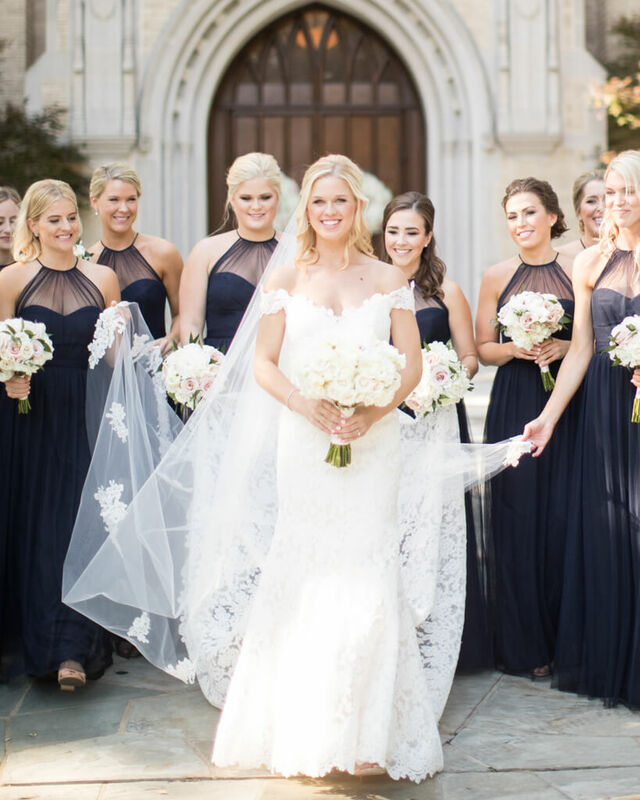 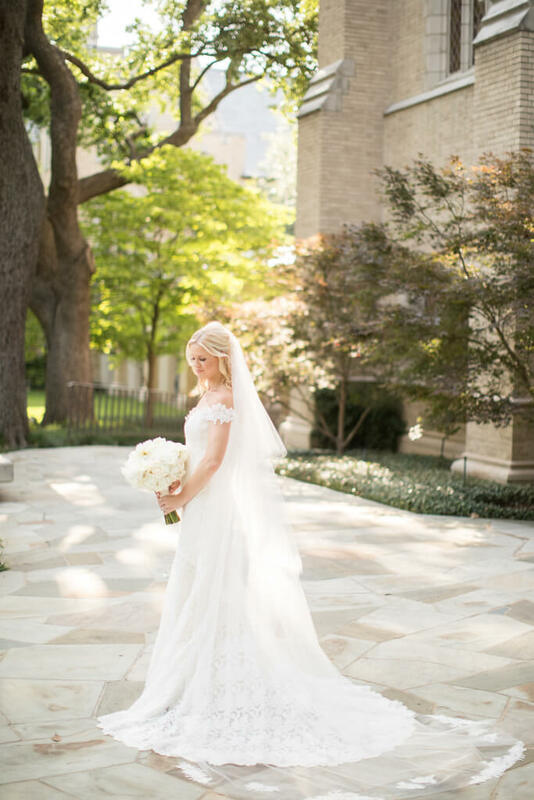 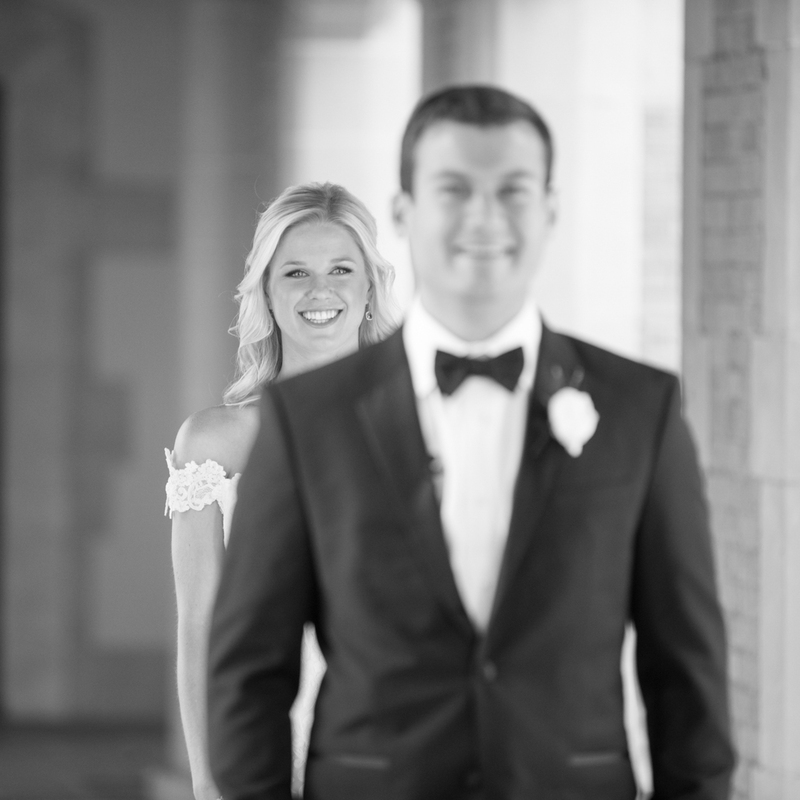 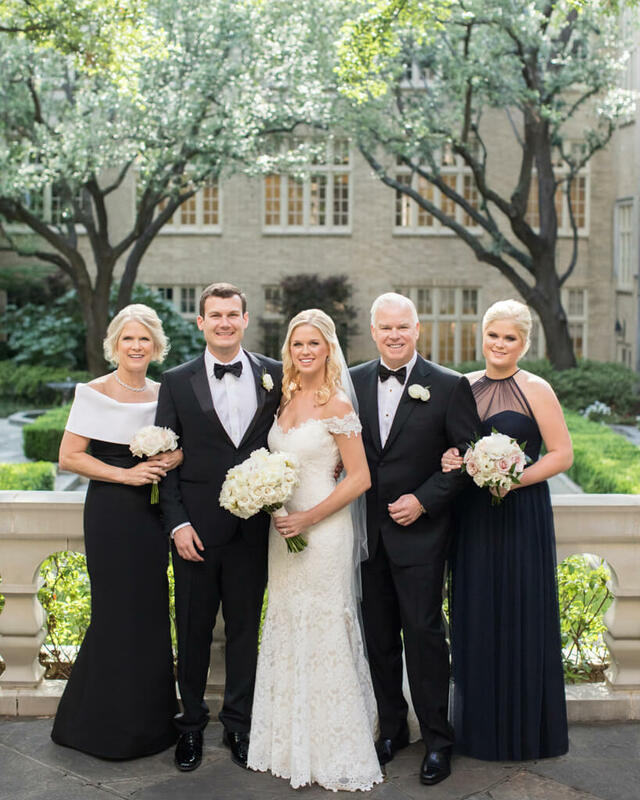 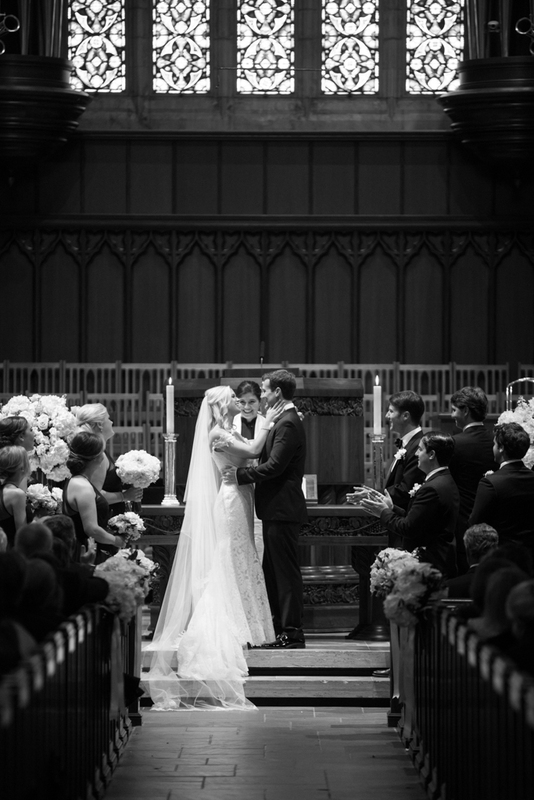 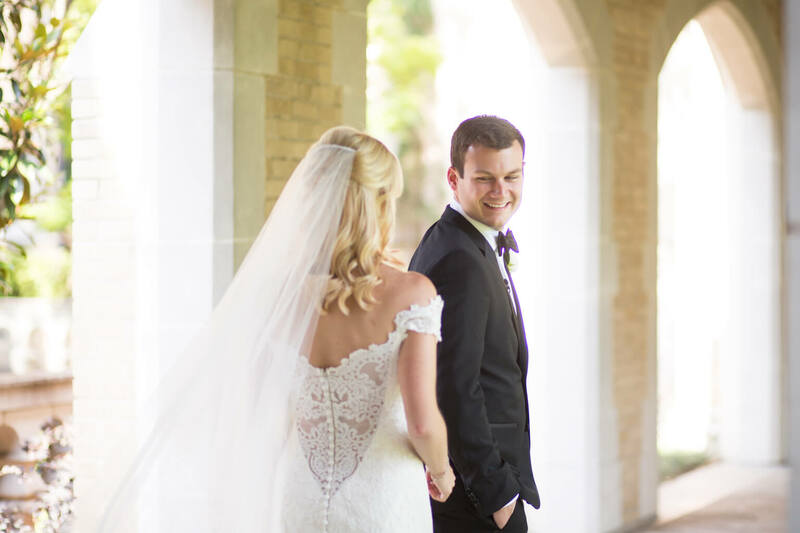 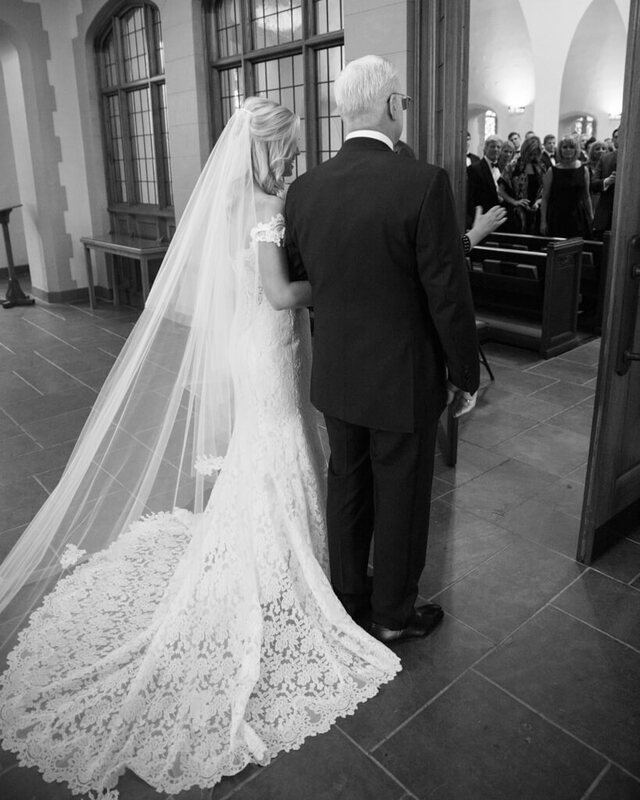 When planning their spring wedding, the SMU sweethearts worked with Fabulous Fête to organize their traditional ceremony and chic reception. 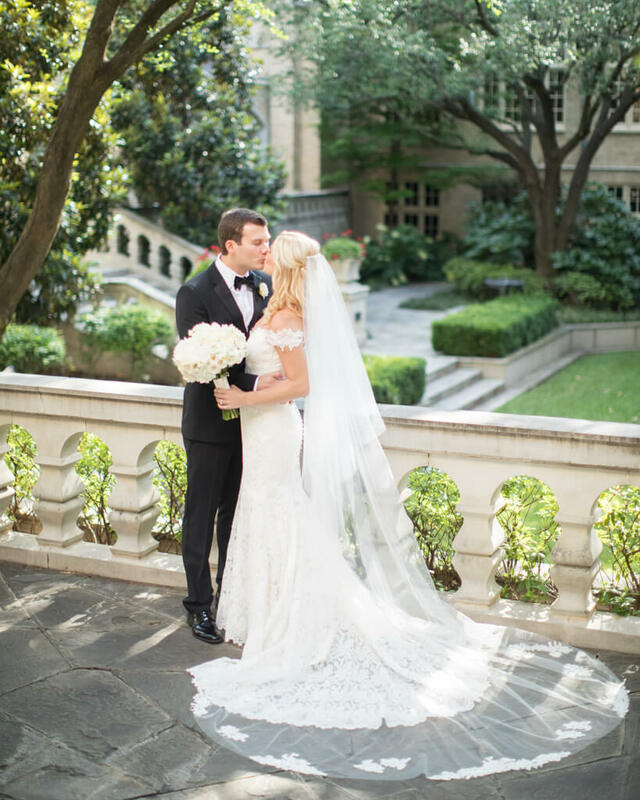 The bride was exquisite in an off-the-shoulder Legends Romona Keveža gown as she made her way down the aisle for the classic service. 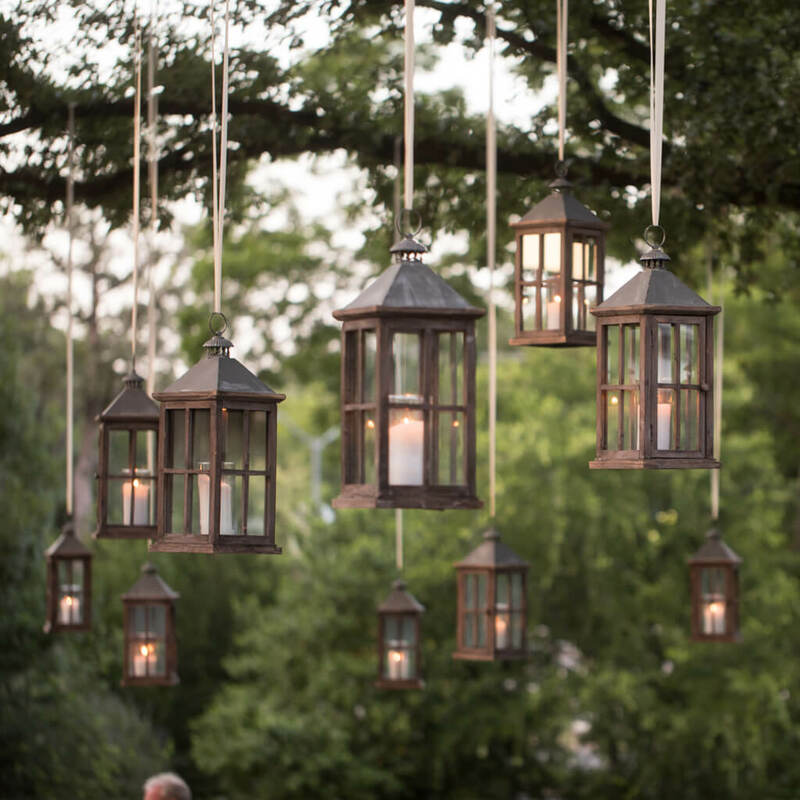 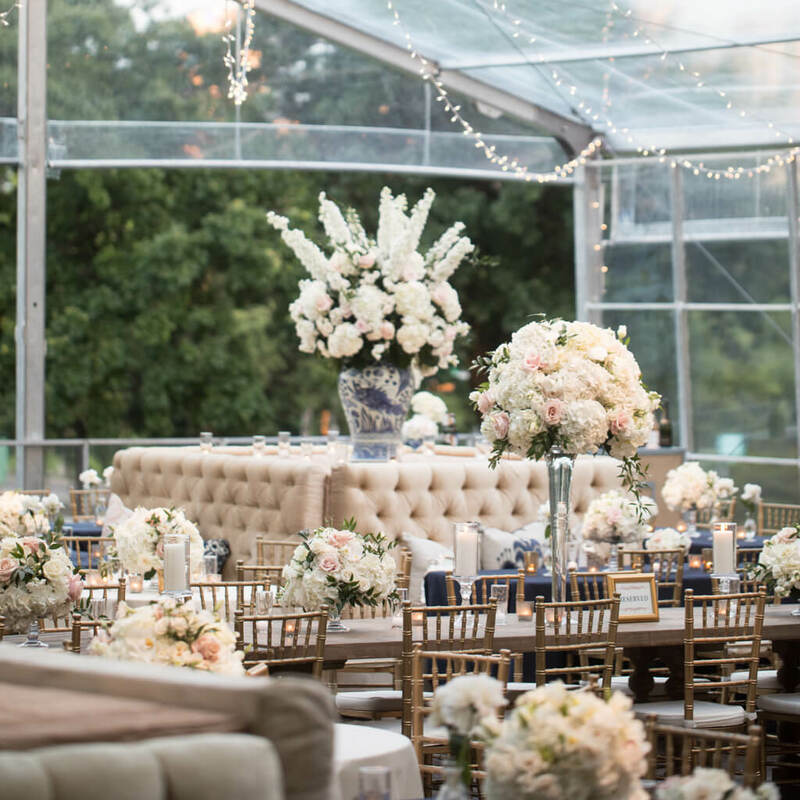 Guests then convened at Arlington Hall for a glamorous reception beneath a clear-top tent offering views of the stars. 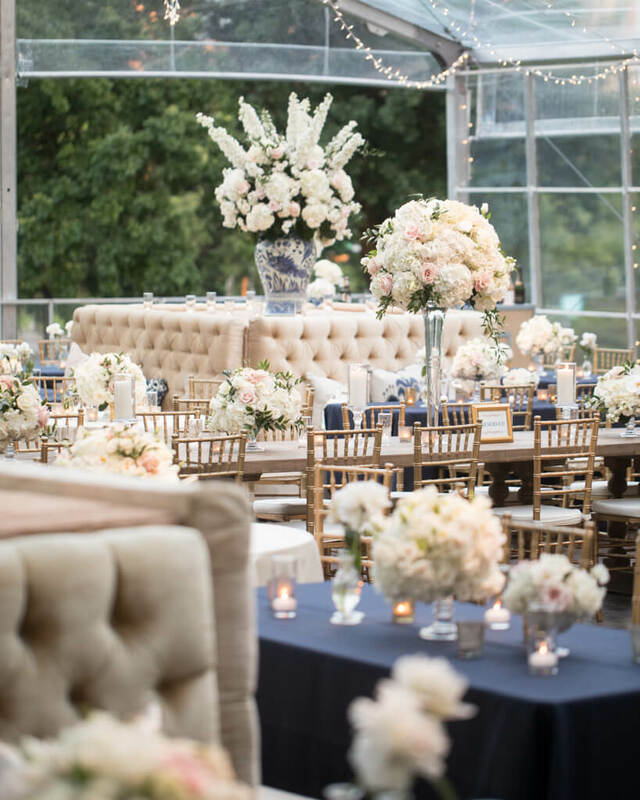 Attendees found their seats at round tables surrounded by gilt chairs or navy-cloaked varieties with banquette-style seating. 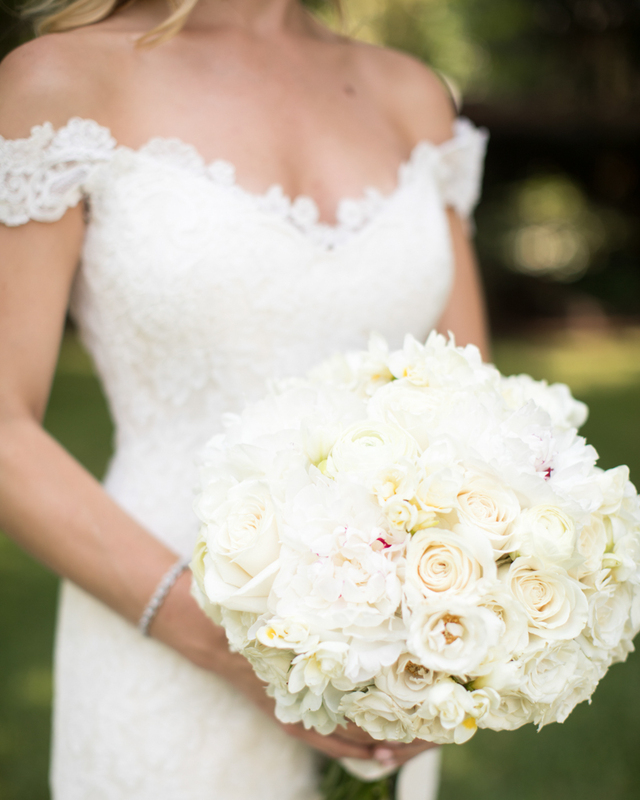 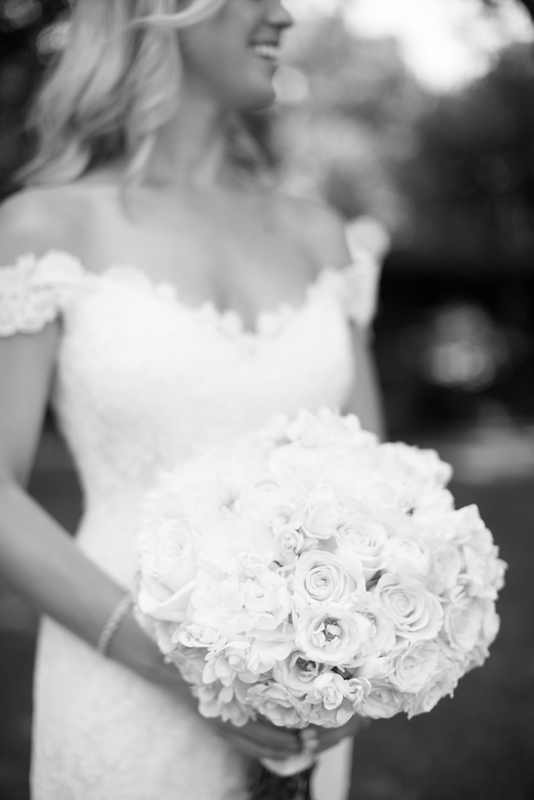 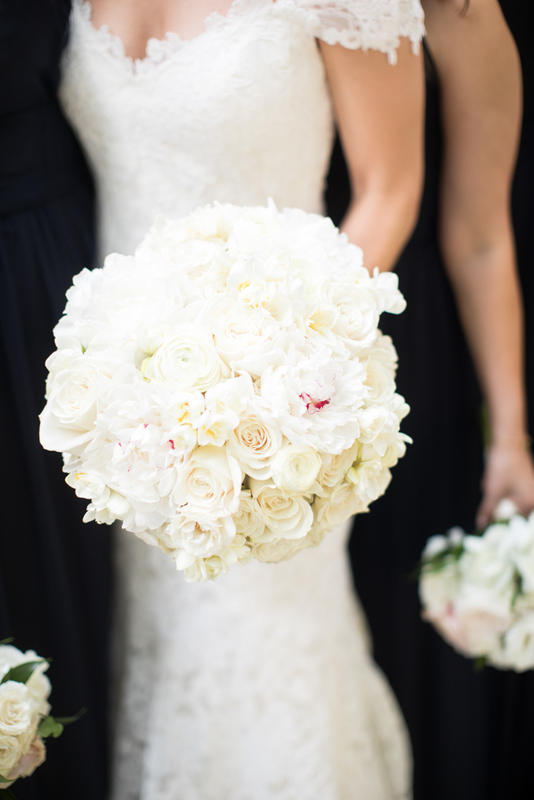 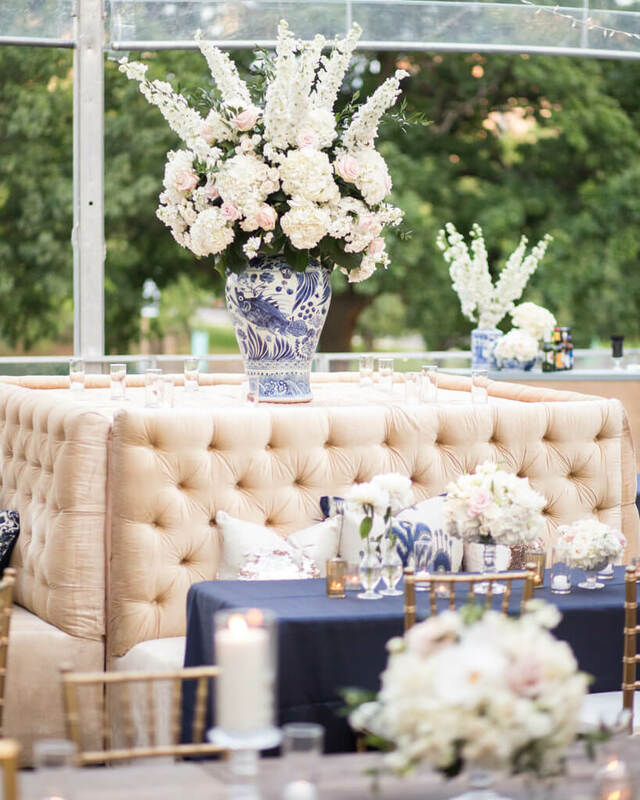 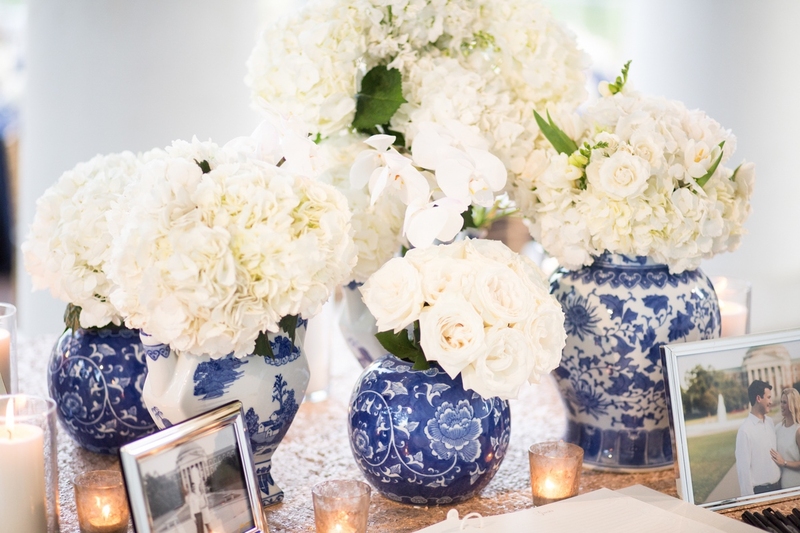 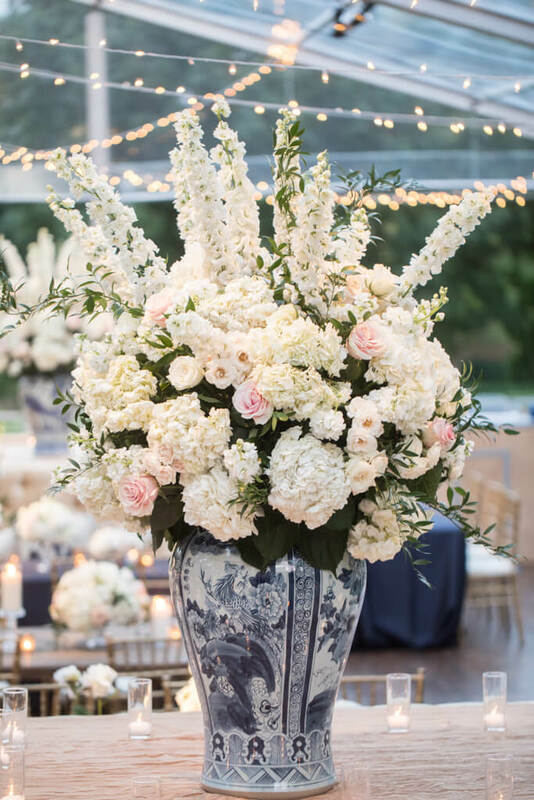 Bella Flora of Dallas designed elegant centerpieces of alabaster hydrangeas, blush roses, and greenery displayed in tall glass vessels or blue-and-white ginger jars. 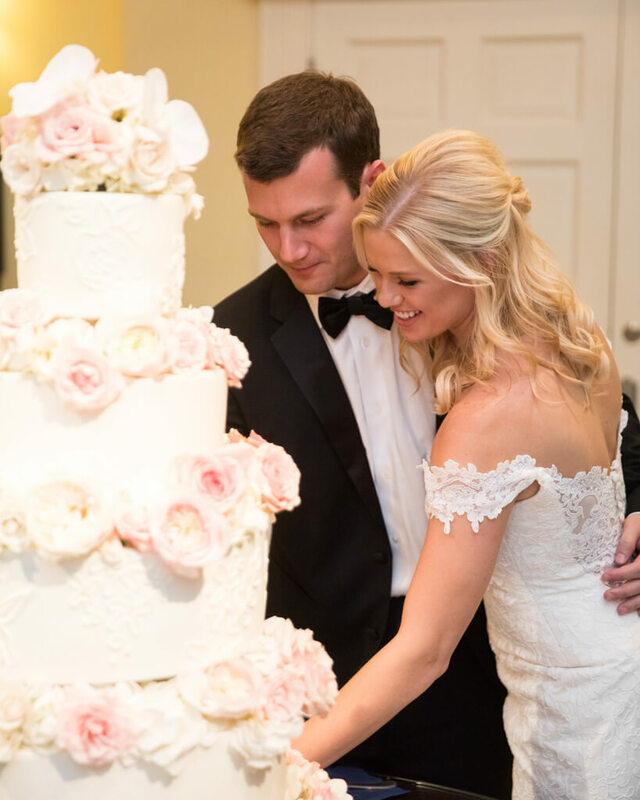 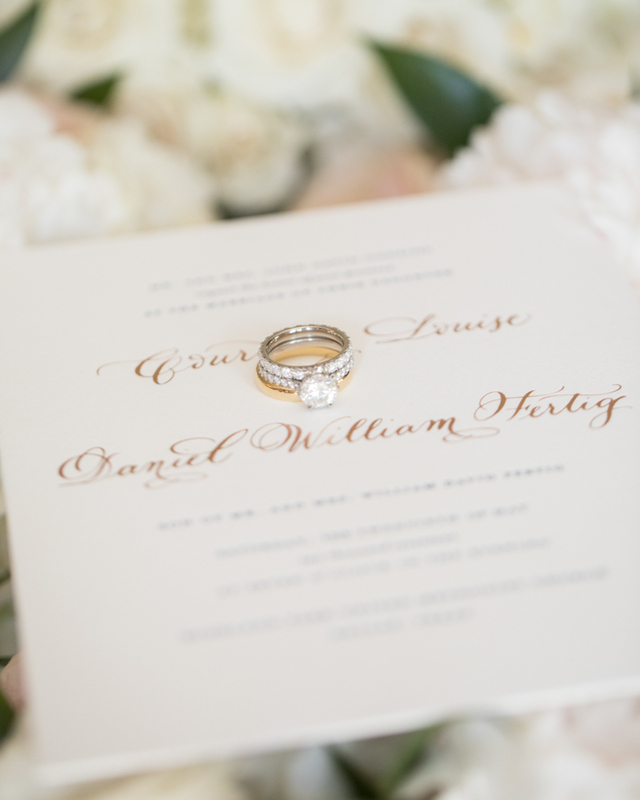 Friends and family then moved indoors for the cutting of the couple’s beautiful five-layer cake adorned with pink blooms, as well as sentimental toasts and dancing into the night. 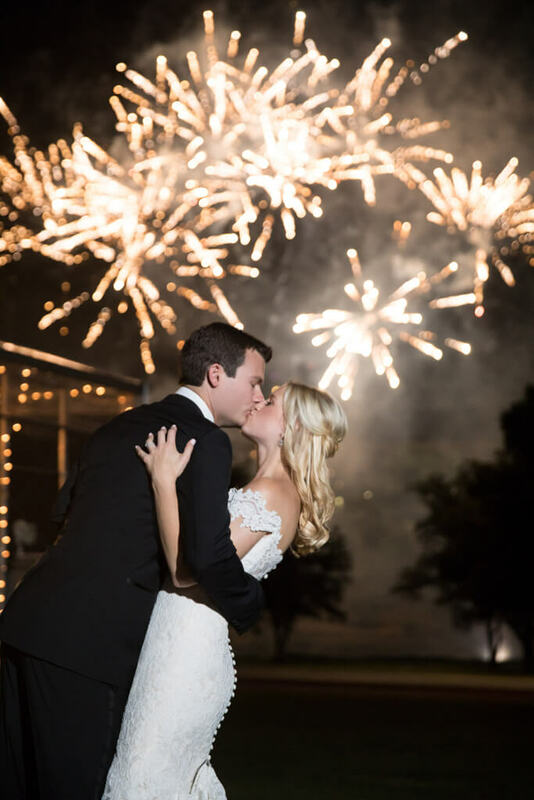 Surprise late-night snacks including burgers, hot dogs, and fries kept the energy up, and a picturesque firework show was the icing on the cake for the memorable evening. 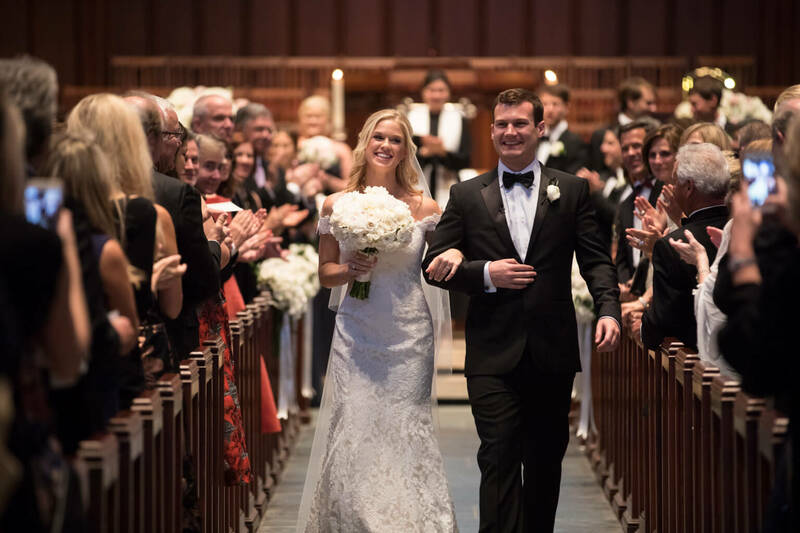 As the night came to an end, loved ones sent the new Mr. and Mrs. off on their new married life together while waving gold pom-poms in celebration.